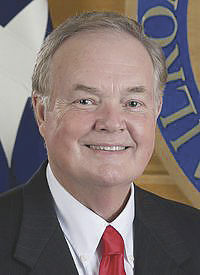 Wayne Christian is Texas Railroad Commissioner. Last week, President Donald Trump withdrew the United States from the Paris Climate Accord, clearly demonstrating his commitment to putting America first and prioritizing jobs for middle-class Americans. President Trump is right to withdraw. The Paris Climate Accord is a bad, unfair deal for the American people and would put us at a severe economic disadvantage. While it allows other nations, such as China to continue increasing carbon emissions until 2030, the United States cut its carbon emissions by 26 to 28 percent below 2005 levels. Most astoundingly, the agreement allows India to double its coal usage by 2020. $3 trillion in economic growth by 2040. As you can see, while America’s economy would take a massive hit, other nations would continue business as usual. Under the agreement, China can continue building hundreds of coal-fired power plants. The Paris Climate Accord doesn’t get rid of coal jobs — it just moves them overseas. The justification for killing millions of American jobs and causing trillions of dollars of damage to our economy is the potential to decrease global temperatures by no more than 0.17 degrees Celsius by 2100 — and that is only if implemented perfectly. This accord is a classic example of what happens when policy is based on politically-driven rhetoric disguised as science. The environmental movement is losing creditability with the working American by prioritizing costly mandates and carbon-taxes over free-markets and innovation. It’s time we put Lubbock, Houston, and McAllen, ahead of Paris, France. Through advancements in horizontal drilling and hydraulic fracturing, the free-market is reducing our carbon emissions by flooding the electric market with low-cost natural gas to generate electricity. Petra Nova, the world’s largest post-combustion carbon capture facility, takes carbon from an existing coal-fueled power plant and uses it for the enhanced recovery of oil while sequestering CO2 underground. Human innovation and competitive markets are reducing carbon in the atmosphere, while ensuring energy remains cheap, plentiful, and reliable.